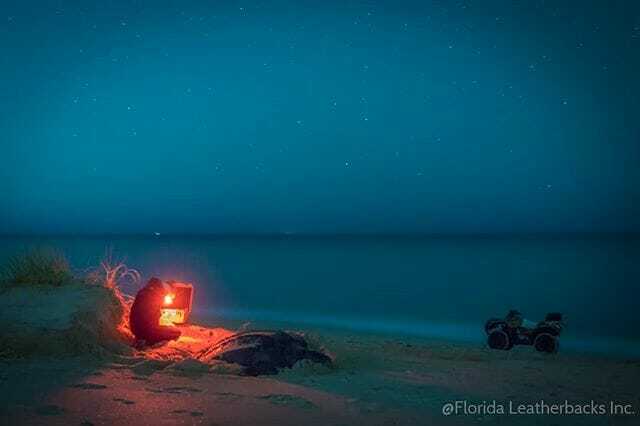 In less than two months, our team will once again be on the beach conducting research on Florida’s endangered leatherback sea turtles. Our lead biologists have been doing this work for nearly 20 years! We have encountered leatherbacks thousands of times and identified over 800 unique individuals. In 2019, our team of volunteers encountered leatherbacks 337 times on our study area. Leatherbacks nest numerous times in a single season so we saw many individuals more than once. We encountered a total of 104 individuals. 26 of those turtles were “new,” meaning previously untagged. The remaining 78 turtles were tagged during previous nesting seasons. One of the more interesting recaptures that we had was a turtle that was originally tagged on Blackbeard Island, Georgia in 2010. There are relatively few leatherbacks that nest in Georgia so to find one nesting here was very unique! Leatherbacks typically nest every 2-3 years and we saw turtles that had been tagged as far back as 2001, when we originally started tagging leatherbacks in this area. This year we were very excited to partner with Fisheries and Oceans Canada to put a transmitter on Isla! If you’ve been following our social media accounts, you’ll know that we’ve been tracking Isla for 8 months as she stuck around through the nesting season and then headed up the US coastline through the fall. See more of her track at https://www.floridaleatherbacks.com/track-our-turtles/ We saw Isla a total of 11 times with the help of her transmitter! That’s the first time that we’ve documented 11 nests from a single turtle in one season! Other than Isla, our most frequently seen turtles were Chakra, Harmony, and Juniper who we encountered 8 times each. Juniper was was one our new turtles this year and has some fairly extensive (although healed) injuries that left her with a large portion of her carapace (top shell) missing. We also seven turtles that we saw a total of seven times each. It was a very exciting season! Stay tuned as we start up again in less than two months! We may have some even more exciting updates and projects this year! 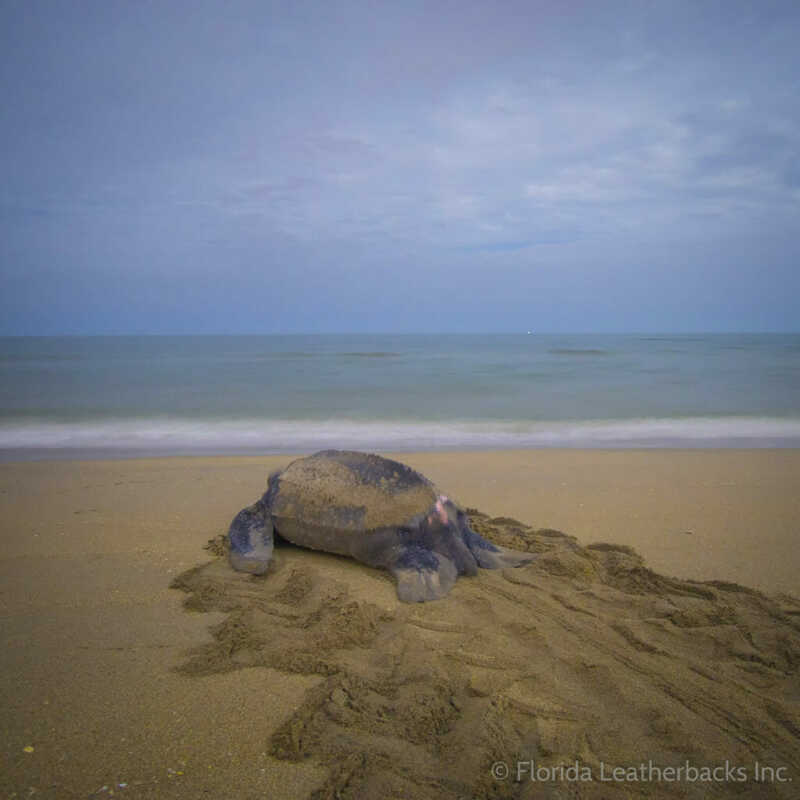 This entry was posted in Blog Post and tagged blog, florida leatherbacks, leatherback, leatherback blog, leatherback research, leatherback sea turtle, marinelife, research, sea turtle, tagging. Bookmark the permalink. ← World Sea Turtle Day!